When chef and master storyteller Anthony Bourdain visited Los Angeles, he chose to explore the city's many small enclaves, offering a look at the food and cooking that are part of those neighborhoods' identities. But when asked in a 2016 interview which was his favorite, he didn't hesistate. "K-town. 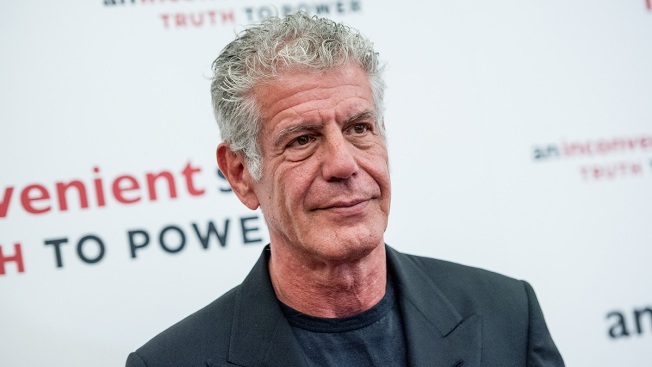 I don't even have to think about that," Bourdain told Thrillist. "Largely because it's so packed with unknowable awesome stuff, so I'm always intrigued. The fact that I know so little about it is what makes it interesting. I've never had a bad meal in K-town." In an episode that delved into the contained explosion of flavor that is Koreatown, part of the backbone of Los Angeles' food culture, Bourdain interviewed Korean-American chef and street food revolutionary Roy Choi. He also ate at a Sizzler for the first time and generally lost himself in every steaming bowl of goodness set before him. But Bourdain also recognized the allure of food exploration in other neighborhoods that are part of the sprawling patchwork of Los Angeles. In a "Perfect Day" segment, he offered a bite-by-bite guide to LA, from Pacoima to East LA, Boyle Heights, Compton and beyond, stopping along the way for a talk with actor Danny Trejo. "To understand L.A. culture is to bear witness to these many historical threads and, along the way, enjoy some exceptional food and entertainment," Bourdain wrote. Bourdain was found dead Friday morning in France while working on his CNN series. CNN confirmed the death, saying the 61-year-old was found unresponsive by friend and chef Eric Ripert. The network called his death a suicide. Below, some of Bourdain's musings on what makes Los Angeles a great place to eat.